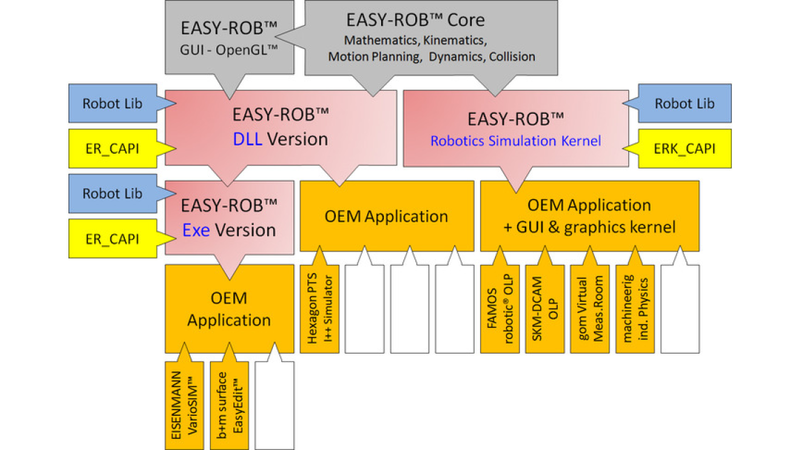 The whole EASY-ROB™ functionality can be integrated as an OpenGL™ window in your own application. The open software architecture „EROSA“ allows to take advantage of the exported method class ER_CAPI and a bidirectional control of the Framework. The EASY-ROB™ Framework starts as an OpenGL window without a title, a menu, toolbars and without status bar and can be placed by using Window-handles anywhere in your application. Existing work cells, robots, device, tool etc. can be loaded, connected and controlled by API. The complete robotics functionality is available. In case of collisions or exceeding of travel ranges while simulation, EASY-ROB™ will report the events to the user application. 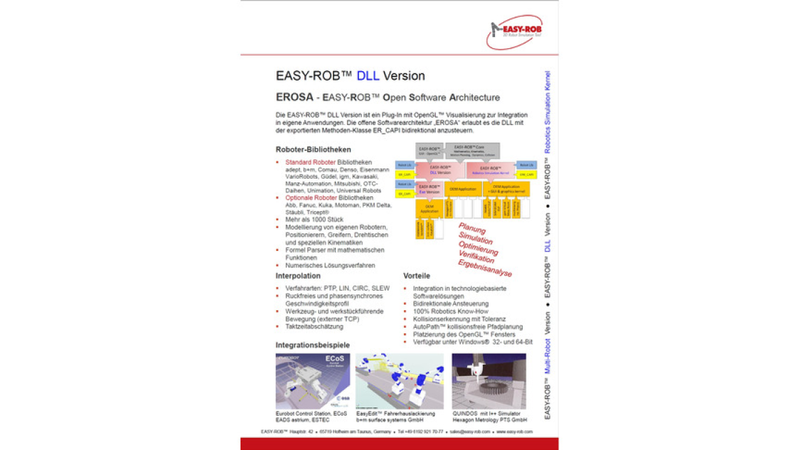 The application areas for the EASY-ROB™ Framework are versatile. 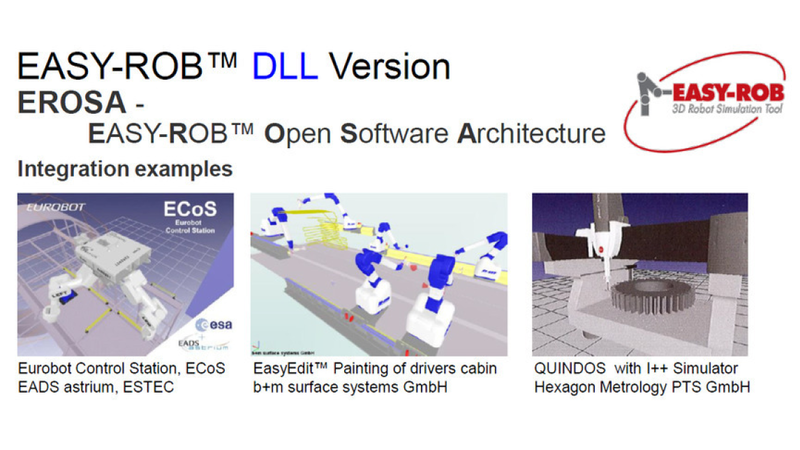 The EASY-ROB™ Framework offers an open architecture for the development of miscellaneous robot application, such an robot simulation and offline programming tools.